Smith Sovik has extensive experience helping businesses throughout the Northeast strengthen their labor and employment practices. This includes developing employee handbooks and company policies, investigating claims of misconduct, offering advice on employee discipline or termination, representing clients at mediations and arbitrations and defending clients in the Federal and State courts. Because employee issues often arise unexpectedly and require swift action, we respond immediately to potential discrimination, sexual harassment and hostile work environment claims. Our proactive approach resolves potential claims before they are even commenced. Our lawyers have handled cases regarding a variety of statutes, including Title VII, the Americans with Disabilities Act (ADA), the Age Discrimination in Employment Act (ADEA), the Family Medical Leave Act (FMLA), the Equal Pay Act (EPA), 42 U.S.C. Section 1981 (1981 claims) and the Pregnancy Discrimination Act. So when our clients choose to litigate, they know their case is being defended by a seasoned, successful trial lawyer. We have had a great partnership with Smith, Sovik and, in particular, Steve Williams. 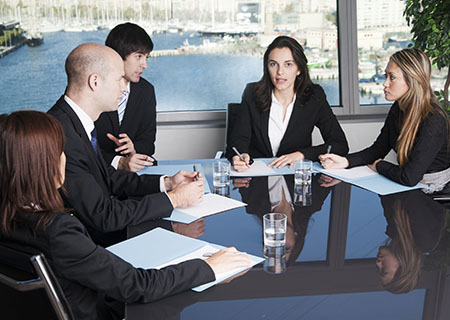 Steve has delivered great results for us not only in Litigation, but also in handling EEOC charges as well as mediations and arbitrations which are a part of our Dispute Resolution Process. Steve is an extremely talented litigator; however, he also works hard to attain good settlements for us. His case evaluations are thorough and honest. It has been a pleasure working with Steve and I look forward to continuing our partnership.